Continue from part 1, here we list down our next 5 favourite retail shops, how we can take some clues from them and apply to e-commerce business. 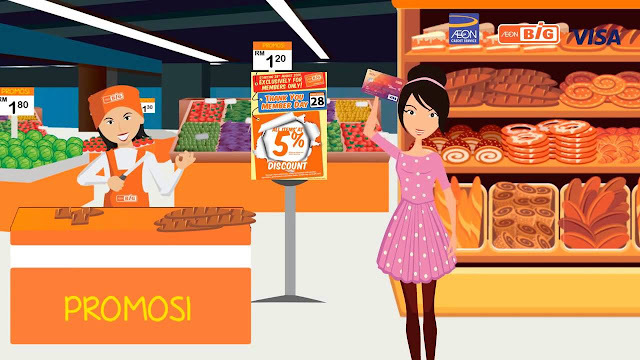 Grocers or hypermarkets tend to promote big variety, great value and low prices, so how do they stand out from the competition? Loss leaders (refer highlighted items in their press ads) is a strategy commonly used to attract footfall to their stores. For us, AEON BiG stands out in terms of its loyalty program. Compared to the under-publicized Giant's Rewards, Tesco Clubcard's collect points and wait for the vouchers to be mailed to you, AEON BiG rewards their members more instantly with points redemption at POS and "Thank You Member Day" (5% discount) on every 28th day of the month. AEON BiG's member day is timed at the right day of the month (after pay-day for most), simple to understand and remember. Besides pricing battle to acquire customers, obviously membership or loyalty program is the way to go, it is just a myth that why others do not execute it as simple and as effective as AEON BiG. Tips for e-commerce: Grow your loyalty program by making it easy to understand and how is it different by being your member. AEON or formerly known as Jusco is the earliest supermarket brand established here in Malaysia as early as 1984. Being a household brand, AEON has arguably one of the most, if not the most paid membership (RM12 annual fees for AEON Member) by any retail brand in Malaysia. AEON member day is huge with many flooding the stores, and they carry many brands and products which is from middle to low end. This is also made possible by introducing its own private label brand - TOPVALU, similar to those home brands owned by Tesco and Giant. 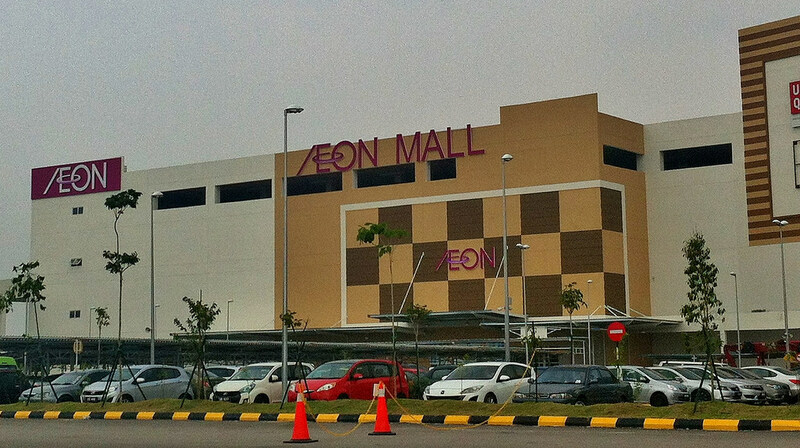 If you notice, AEON also runs shopping mall business which differentiate itself from other competitors. On top of the retail business, its property management business contributes close to 14% of AEON's total revenue in year 2014. Tips for e-commerce: While expanding to marketplace model like shopping mall might not be feasible, exploring new business opportunity like reselling website inventory as advertising / media might make sense for some e-commerce businesses. Another grocer on the list but this is a special one, and most of you might find it hard to disagree. The only downside is, there is only one store throughout Malaysia! Besides its fresh produce from from the greens to meat, the variety of imported groceries especially from the West is unparalleled, while imports from the East (like Japan) is already quite common elsewhere in Malaysia. 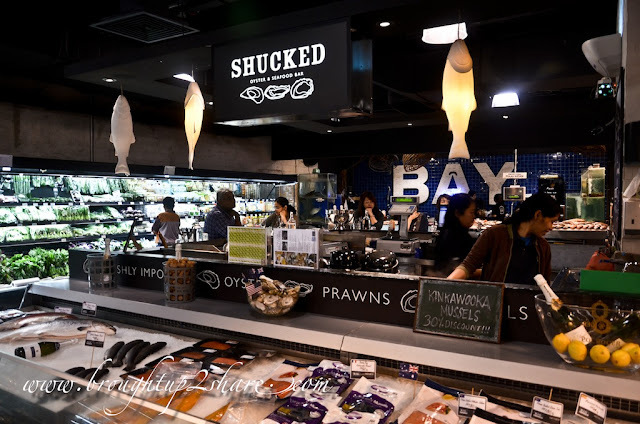 The best part is seafood bar, coffee fix, and other food stalls are all available within the creatively-decorated store itself, keeping shopping fun and refreshing. They are truthful to their tagline "Eat, Drink, Shop" in every sense. Tips for e-commerce: Selling goods that are not easily available here might be one of the differentiation, but providing fun, memorable and creative shopping experience is how you set apart from the rest. With traditional grocery shops fading gradually, there is gap to fill below the big hypermarkets. Convenience store is the obvious one to facilitate quick grabs, but if we compare our 7-Elevens with those in countries like Japan, Taiwan, Thailand etc. it is just not up to par. Thankfully there are new players in recent years, with 99 Speedmart edges it for us even though they are more like a hybrid of mini-marts and convenience store. Despite not opening 24 hours, 99 Speedmart is usually close to the neighborhoods with clean shopping environment (compared to traditional grocery shops). Besides being close and cheap, it seems easy to grab anything you need at 99 Speedmart, which they offer more variety than typical convenience store. 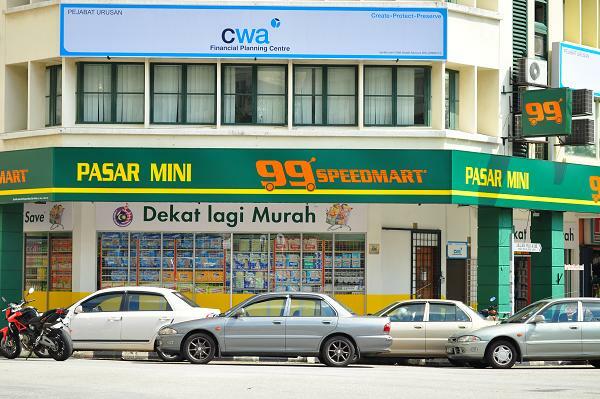 While operating on relatively bigger space, 99 Speedmart doesn't seem to go for the long tail in terms of SKUs but instead focusing on popular and fast-moving SKUs. Tips for e-commerce: Observe market gaps in your domain and there might be opportunities lying ahead. Providing customers too much options is not necessary the best, some times less is more, just like how these German retailers differentiate themselves. We like the idea of Starbucks within Borders, the O2O experience at MPH, but Popular edges it for us in terms of variety even though the ambiance at the former two are arguably better. If we compare to their competitors, Popular bookstores carry more SKUs of Chinese books be it local ones or imported from Taiwan, China etc. Possibly due to its long-established brand here, Chinese schools always recommend Popular as the bookstore to grab text books or curriculum books. For us personally we visit Popular more for its stationary (for kids and office use) instead of books. It came as no surprise when Popular announces that more than 50% of its revenue come from non-book sales, notably stationary. Tips for e-commerce: Even if and when you are strong at a particular vertical it doesn't mean you have to stop there, there is always business opportunity in other category or sub-category relevant to your core vertical.